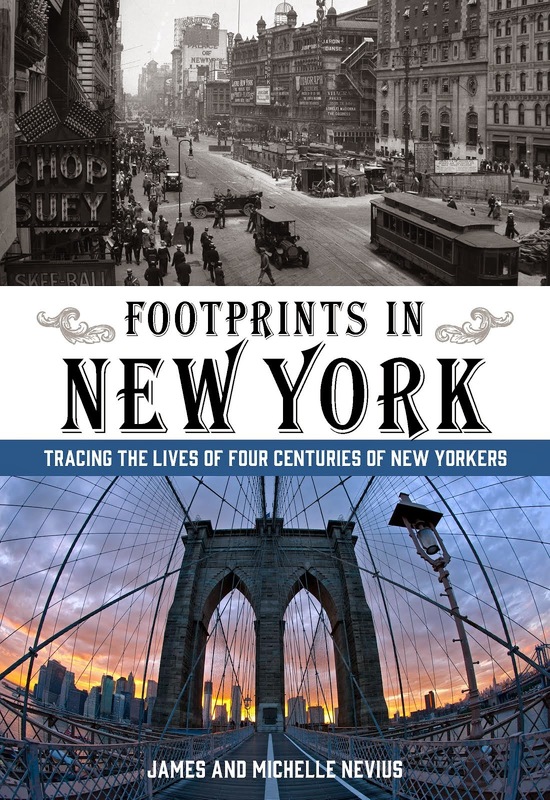 James is finishing up a piece right now on the history of St. Mark's Place in the East Village (we'll let you know when it's published), and as part of that research he's been reading about how the Second Avenue and Third Avenue Elevated trains were an integral part of the neighborhood for years. 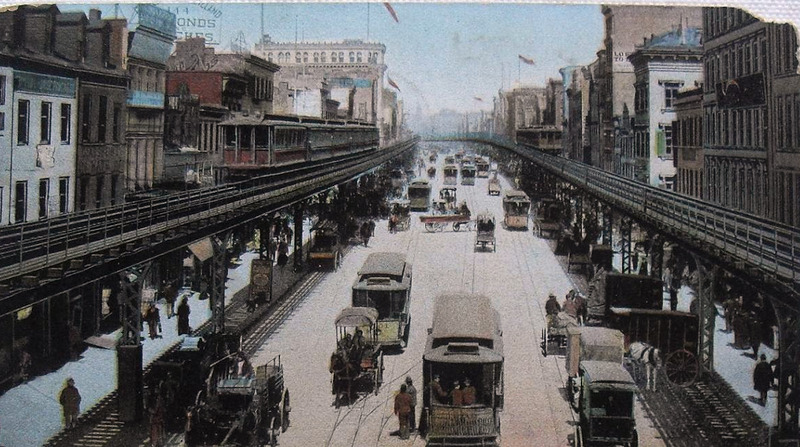 This postcard, showing the Third Avenue El running along the Bowery, is ubiquitous in postcard shops (often the sort of card that can be picked up for under a dollar), which means they must have printed thousands of them at the turn of the twentieth century as a typical New York City view. The Third Avenue El first opened in 1878, running from South Ferry to Grand Central. Two years later, a Second Avenue El began operating from a split at Chatham Square. The Third Avenue line eventually ran all the way into the Bronx (parts of its infrastructure are still used today by the 2 and the 5 trains), and was the last of the lines to come down in Manhattan, ceasing operation in 1955. 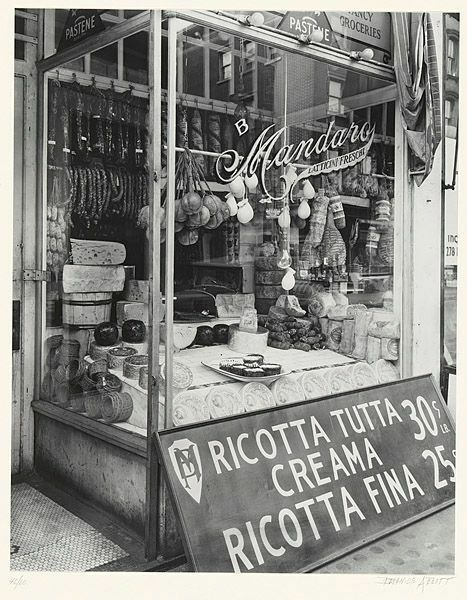 Do you have recollections of riding the Third Avenue El? If so, please let us know in the comments. 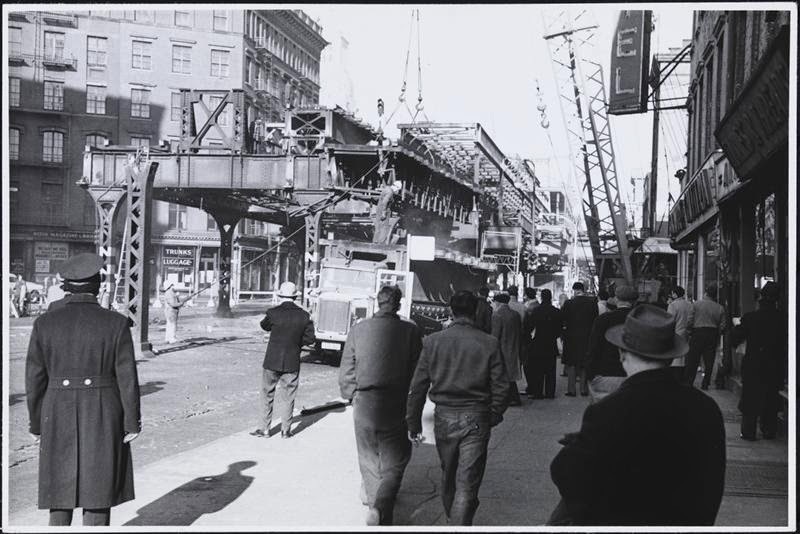 A crowd on St. Mark's Place watches the demolition of the Third Avenue El.